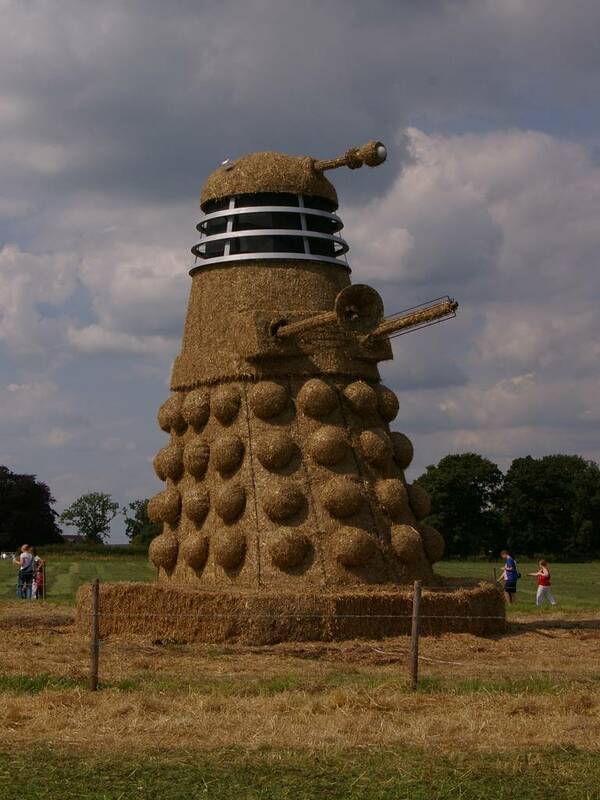 The quiet English countryside of Cheshire has been recently reverberating to the harsh metallic cries of Exterminate all humans! Fortunately for the local population this isn’t a presage of (yet another) Dalek invasion but of celebrations to come in November. To mark the 50th anniversary of the BBC Science Fiction show Doctor Who, his greatest adversary has been lovingly recreated in straw and steel – and it’s 35 feet high!